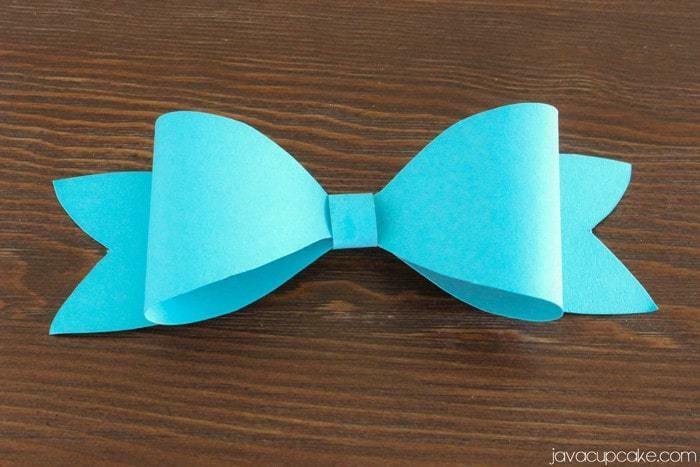 Paper Bows add flair and charm to gift wrapping and create a fun touch in home decor. 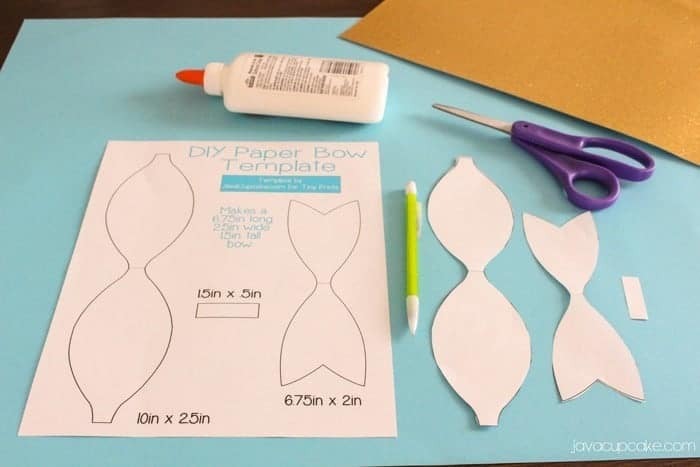 Use this simple tutorial to create one-of-a-kind DIY Paper Bows! I love giving the gift of baked goods to friends and family. Since I take so much time and care into making sure what I’m gifting is perfect, I really want to make sure the outside is beautiful too! 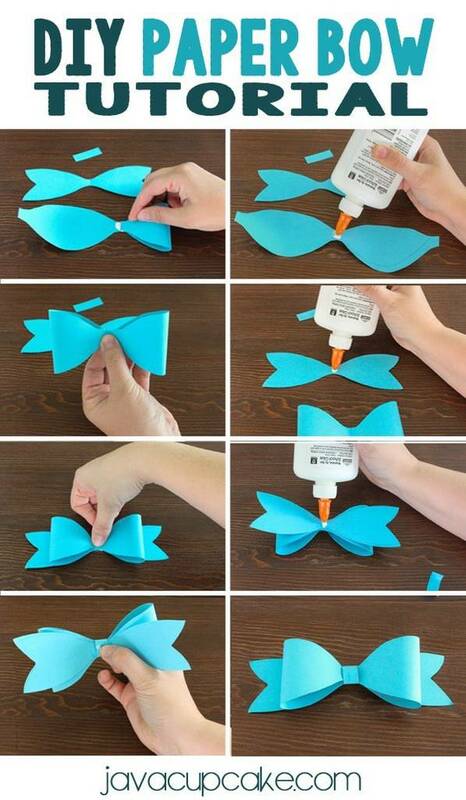 These DIY Paper Bows can dress up any gift with just a few supplies and simple steps. Any color paper can be used which makes them so versatile! 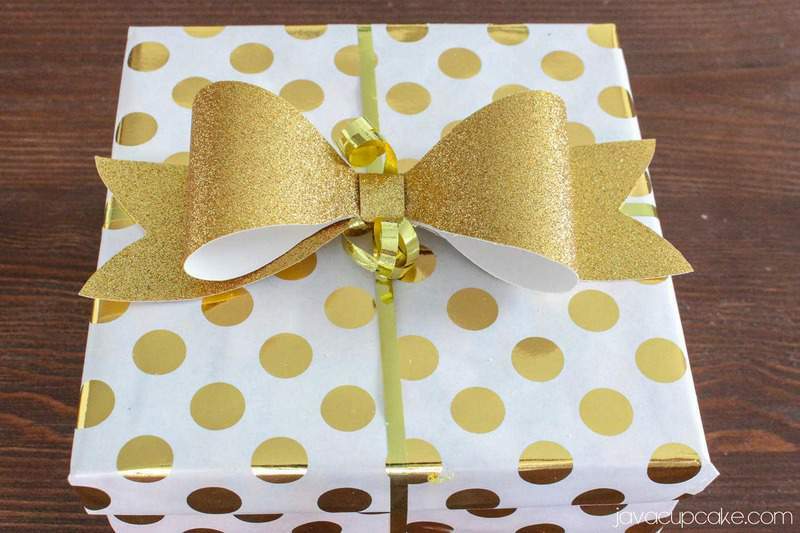 See how amazing this package looks with the addition of a gold paper bow? It’s super easy, you just need a few supplies and about 5-10 minutes to make your own! Cut out the pattern from the template. Trace each piece on to the card stock. Cut out each piece of the pattern. Squeeze a dollop of glue onto the center of the largest piece. Fold over each end until it meets at the glue in the middle. Squeeze a dollop of glue onto the center of the other large piece. Flip the bow over and squeeze a dollop on the center. 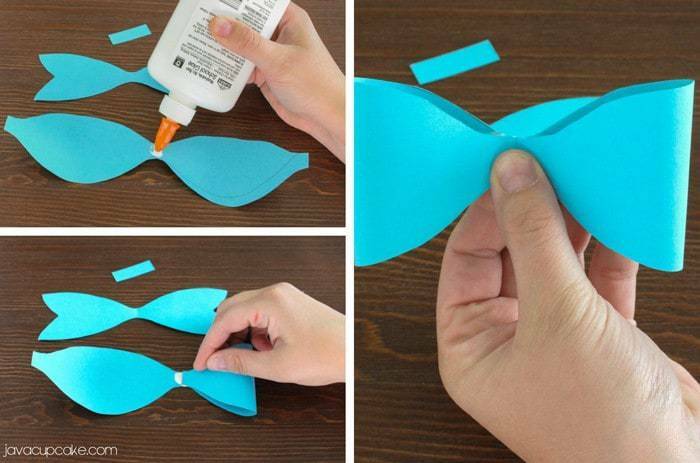 Wrap the smallest piece around the center of the bow until it meets at the glue. Press gently and hold until it dries. Coming Wednesday I’ll be sharing a complete tutorial to create an entire gift wrap presentation with the DIY Paper Bow as the star!! !